It is well-known that Microsoft has updated Windows 10 version from 1803 in April to 1809 in October 2018. Windows 10 October 1809 update possesses various features that cannot be found on previous Windows 10 versions, like Windows 10 1803, 1709, 1703, etc. While it is now a common phenomenon for some users to encounter problems when upgrading to or updating to Windows 10 October update 1809. Among updating errors, the most frequently seen ones are computer data loss, hard drives not connecting to Windows 10 or applications not working. Of course, Microsoft has figured out some ways to deal with these Windows 10 1809 downloading or installation trouble, but to no avail. It is undeniable that this Windows 10 newest update — October update version 1809 has some powerful features, such as Dark mode for File Explorer, Microsoft Edge improvements. However, it does meet with Windows 10 update 1809 bugs and issues. No matter you would like to make certain what the updating errors are or to try ways to fix Windows 10 1809 cumulative update blocking. Under this circumstance, this article would list potential problems in updating to feature update to Windows 10 version 1809 and provide with you feasible and helpful methods to tackle these troubles. Possibly, there are many other common issues in the process of downloading or installing October Windows 10 update. But according to the reports, you can find your problem from the list above. And even the Microsoft itself has not yet come up absolute solutions towards these errors, so you have no need to be annoyed by them, maybe the ways below can be useful if you can try them. And as you can see, the problems can be divided into mainly two categories, namely, Windows 10 October update 1809 failed to install and issues after Windows 10 version 1809 installation. Now, this post would offer you the potential and practical methods in line with different problems with updating to Windows 10 latest update 1809. First and foremost, judging by the complaints of innumerable users, there emerges an audio error caused by the incompatible and flawed Intel audio drivers on Windows 10, like audio aggravation. As long as this Intel issue comes to you, in a large sense, it means the Intel driver has not updated along with Windows 10 v1809. Hence, the Intel audio driver fails to work for you. Or in some situations, the audio driver has been automatically deleted from Windows 10 in the process of updating. In this way, there is much need for you to ensure the Intel driver is updated and compatible with the newest Windows 10 version 1809. And for some Windows users, there may be other driver incompatibility on your computer, such as 0xC1900101 – 0x20004, 0xC1900101 – 0x2000c, 0xC1900101 – 0x20017. So it is reasonable to call this issue as a driver incompatibility error. 2. Expand Sound, video and game controllers and then right click the Intel audio driver to Update driver. After that, you can find Windows 10 is finding you the updated Intel driver. Or even if you are using any other audio device on Windows 10, you can decide to update it as well. 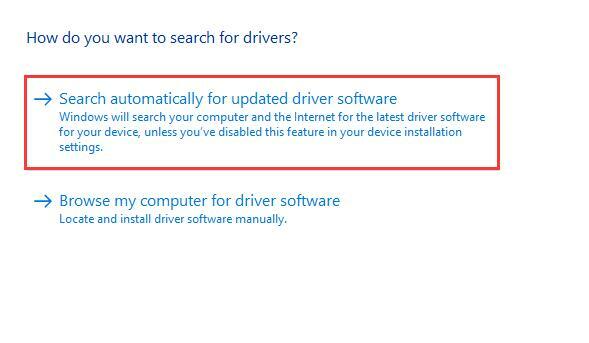 You can choose to try other ways to update the audio driver if Device Manager cannot help you update it. Hope the Intel driver will not give rise to Windows 10 audio issues. 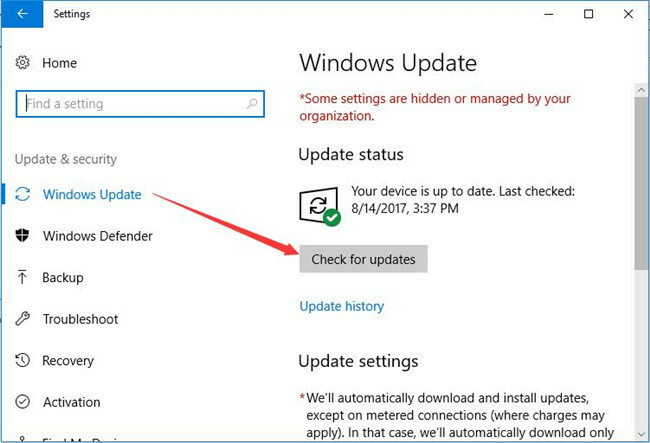 Windows 10 Won’t Update to the Latest Update 1808, which is you may hit upon in some cases. Even though you have successfully got the Windows 10 feature update 1809 by checking for Windows 10 update, you just cannot install it on your PC. Now you may as well determine to re-download and install the latest Windows 10 update to check this time if you are able to get the Windows 10 update 1809 for your PC. It is also to fix Windows 10 updating error of creating media creation error or downloading ISO files. 1. Navigate to Microsoft official site to Update now. In this step, you are to make use of Update Assistant to help you update your PC. 2. Then go with the onscreen instructions to finish updating to Windows 10 October 1809. Here it is also available for you to download ISO files and create the media creation tool to install the new Windows 10 version with the bootable USB device as well. 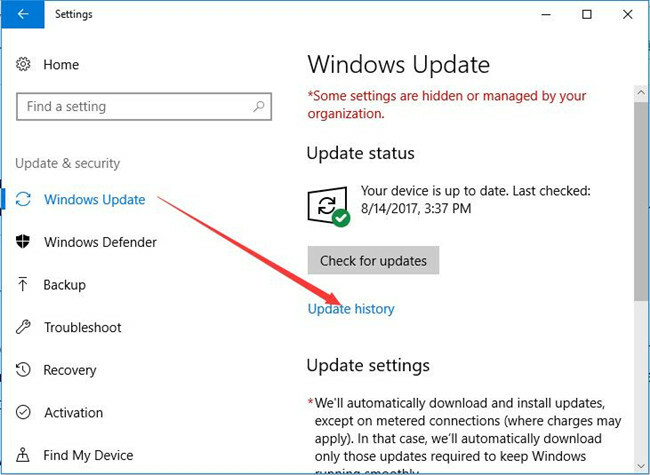 This method is also the way showing you how to update Windows 10 update 1809. If possible, perhaps this time you are capable of upgrading to Windows 10 or updating to Windows 10 feature update 1809. As for Windows 10 Update 1809 won’t install, there is much need for you to Check Windows 10 updates. It can somewhat be useful for some people. 2. Then under Windows Update, click Check for updates. Once Windows 10 Updates are installed on your PC along with the new features, you can see the 0x80073712 error disappear and Windows 10 October update continues after that. The moment your PC gets the 0x800F0922 error, it implies that there is Windows Update issue on Windows 10 and thus blocks you from installing Windows 10 v1809. Or if you run into 0x80190001 or 0x80246007 error code, it is wise to try the ways below as well. In terms of this Windows Update misery, the System Reserved Partition is to blame. To get rid of it, you are supposed to resize the disk on Windows 10. To some extent, the full disk drives can lead to Windows 10 1809 fails to install. You may need to freeup disk drive space to see if it works fine by re-updating Windows 10 to October update. Now to free up more disk space, the most useful and feasible way is to delete some files. 1. 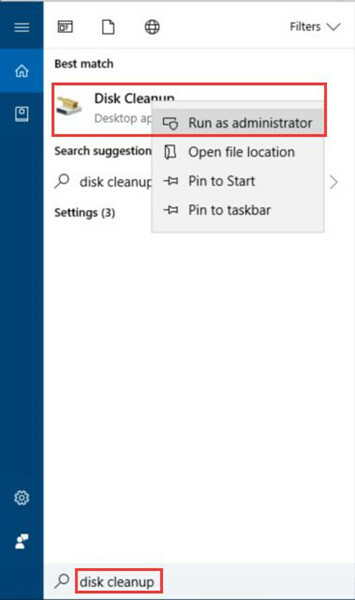 Search disk cleanup in the search box and then right click the best-matched result to Run as administrator. 2. Then select the files to delete and then hit Clean up system files. Click OK at last. 3. 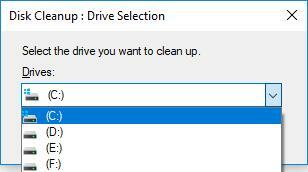 In Drive Selection, choose the Drive. Here take Disk Drive C as an example. 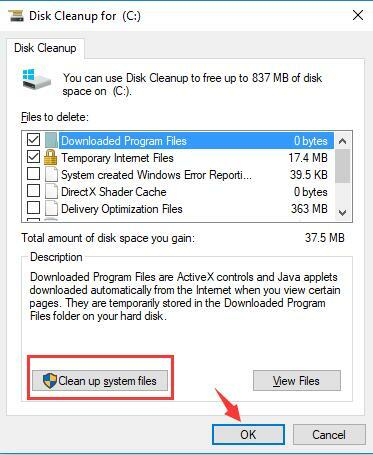 With the steps in Disk Cleanup, you are to remove some files, hence, much more disk space can be freed up. In this way, it is recommendable to retry to download and install Windows 10 update October 2018. 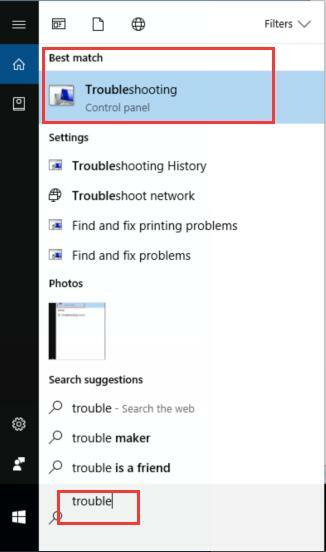 Even if you still failed to do so, you can also turn to Windows 10 Update Troubleshooter to troubleshoot this problem for you. 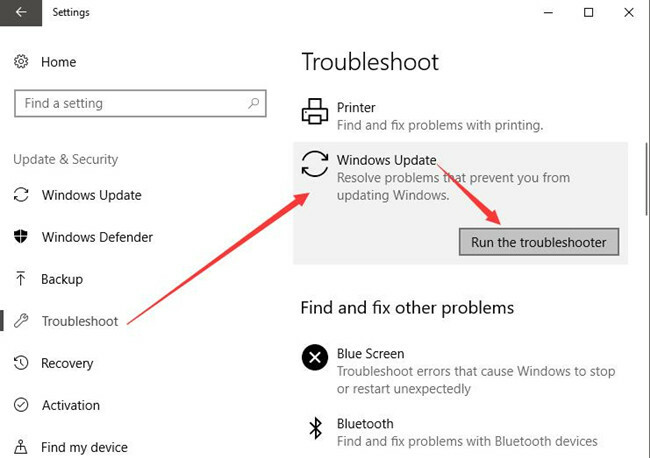 To do that, go to Start > Settings > Update & Security > Troubleshoot > Windows Update > Run the Troubleshoot. Normally, this troubleshooter can detect some Windows Update problems and then fix them for you. Sometimes, after you installed the new update in 2018 October, only to find the updates cannot work well with some applications on Windows 10. You noticed that some programs just do not work on Windows 10 update 1809. Under this circumstance, it means that the applications are prohibited by some programs on your PC due to the incompatibility. Therefore, if not being the essential apps, the problematic ones can be uninstalled on Windows 10. 2. In Control Panel, locate Programs and then Uninstall a program under it. Here to pinpoint Programs easily, you can decide to View by Category. 3. 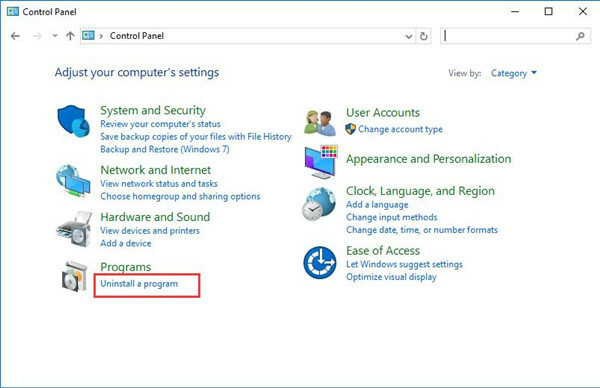 In Programs and Features window, find out the application and right click it to Uninstall it. Provided you have uninstalled the problematic software, other applications can go back to work. Otherwise, it is suggestible for you to ensure the network works properly on Windows 10. Tips: For some system programs, it is announced by Microsoft that the applications should be updated along with Windows 10 new update version 1809, accordingly, if any, make your minds to update the software which cannot run on Windows 10 update 1809 in October 2018. Apart from the issues above, the internet errors may also pop up after you update to Windows 10 October feature update 1809. Perhaps your internet does not work or the network flows slowly. You can either be determined to update the network driver manually or automatically with a third-party tool, like GoPro WIFI BacPac driver or take advantage of Windows 10 network troubleshooter. 1. Search troubleshoot in the search box and then hit Enter to move into it. 2. 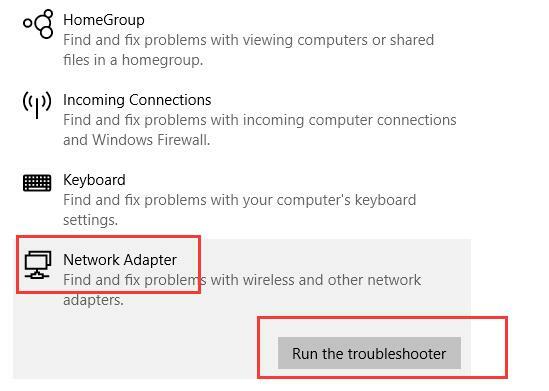 Under Troubleshoot, scroll down to find out Network adapter and then click Run the troubleshooter. Here run the troubleshooter for Internet connection is also open to you. Hit Apply to apply the fix and maybe the network issue can be solved by the tool on Windows 10. There will be no more your connection has been interrupted a network change was detected. This is a problem unique to Windows 10 October update. It has been found by Microsoft itself that Windows 10 1809 is unable to make out a compatible iCloud app. To be more specific, the iCloud is not available for Windows 10 v1809 users or it cannot sync on the new version. Therefore, what the people who encounter iCloud not working properly on Windows 10, you have to wait for a new release by Microsoft official site. There is no other way for you to fix this iCloud doesn’t install on feature update Windows 10 1809 unless you dismissed Windows 10 1809 rollout and remain on the previous Windows 10 version of 1803 in April or 1709. In terms of the Windows 10 v1809 update, Microsoft site has released a patch named KB4471332. This patch can to some degree fix some of the updating errors, like the Seek bar functionality damages of Windows Media player. KB4471332 is capable of some inbuilt updates, including those of Internet Explorer, Microsoft Edge, Microsoft Scripting engine and so on. It is said that this update turns your PC into Windows 10 Build 17763.194. To get the bug repairing patch, just attempt to Check for updates. Go to Start > Settings > Update & Security > Windows Update > Check for updates. It has been proved that Windows 10 Build 17763.194 can fix most of the bugs appearing in Windows 10 October update v1809. 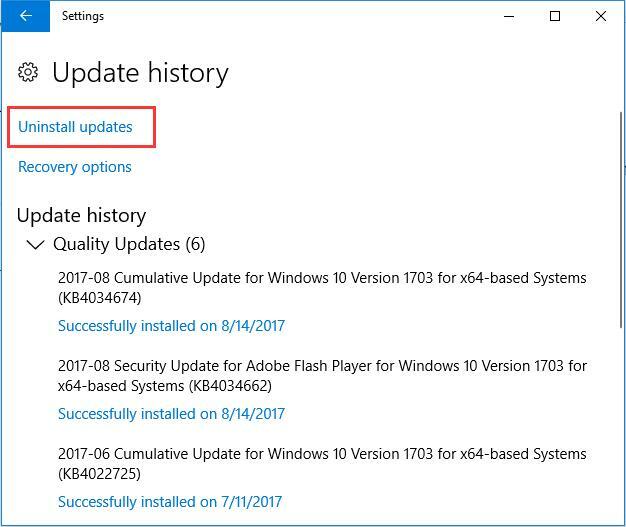 Therefore the instant you installed this KB4471732 patch on Windows 10, re-try to download and install Windows 10 October update 1809 to see if this time you are able to get it after the bugs are repaired. Judging from the reports of Windows 10 users, their administrative account would be prevented from using after they chose to update to Windows 10 v1809. As for this account issue, Microsoft advises users to keep some other usable accounts in case your administrator account is prohibited on Windows 10. When it comes to people who have updated to Windows v1809, if your account has been banned from using on Windows 10, it is wise to re-launch this account. 1. Search Computer Management in the search box and then press Enter to move in. 2. 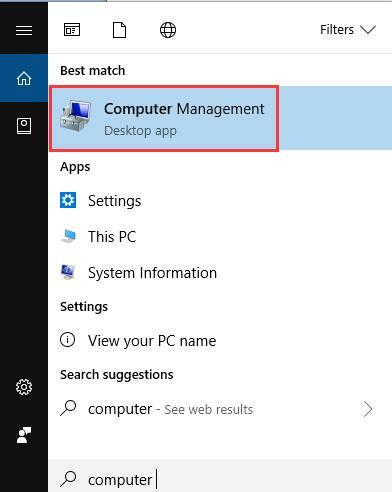 Then in Computer Management, go to System tools > Local user and group > User. 3. Under User, on the right pane, locate and double click your Administrator account to navigate to its Properties. 4. In Administrator account Properties, determine to re-launch this account. You are to uncheck the box of this account is disabled. Here it is predictable the prohibited account will come into use after Windows 10 October update. For music fans, perhaps FLAC is better than MP3 in that it boasts of space-efficient and high-quality audio on Windows 10. And here FLAC refers to Free Lossless Audio Codec. For Windows 10 users, it must be familiar to you that FLAC is compatible with Windows 10 since 2015. While after Windows 10 October update in 2018, many of you find that the music information of FLAC format has been cut short. You can only see part of the specific information of the songs, for instance, a part of the song name, singer and something else related to music. When you come back to Windows 10 April update, only to find it works fine with the FLAC music format on your PC. With regard to this music information missing error, Microsoft responds that it will make out a Built version of 19H1 to fix it. So there is nothing you can do to deal with the incomplete FLAC format but to wait for this patch. Hope Microsoft’s bug repairing tool can help you with your FLAC music on Windows 10. 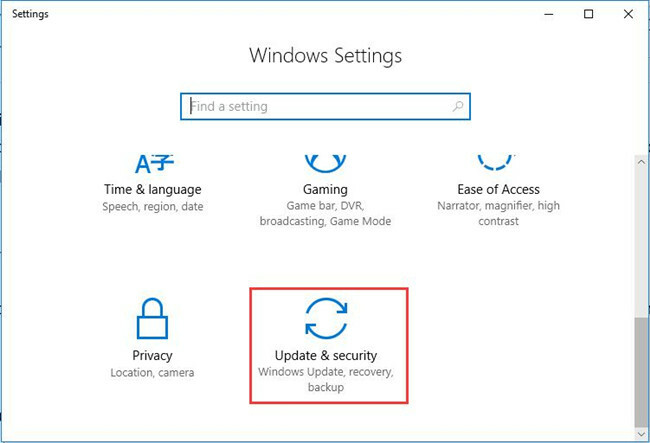 In regards the complaints of some people, they find their computer with Windows 10 October Update need to take seconds before responding to the operation. And it is confirmed that the slow reaction of Windows 10 is not a hardware error as many of you have encountered this system problem. Now in order to bring the smooth and normally running Windows 10 back to you, it is wise to try the steps below to uninstall the updates. 2. Under Windows Update, on the right pane, hit View update history. 3. In View update history window, click Uninstall updates. In seconds, Windows 10 history updates will be deleted. Without the interference of the previous updates, you can see Windows 10 update in October, 2018 is running well on your PC. As it has been reported by Windows 10 users, after they updated to Windows 10 update 1809 in October, Microsoft Edge on their PC is unable to access as usual. While you start your computer and launch Microsoft Edge, you are only told that you can’t open Local network addresses, thus Microsoft Edge is unavailable for you anymore. Since Edge can’t find the network addresses error is rather common after Windows 10 update, it is advisable that you make minds to change the internet options for the Microsoft Edge. 1. Open Microsoft Edge from the Desktop or the search box. 2. 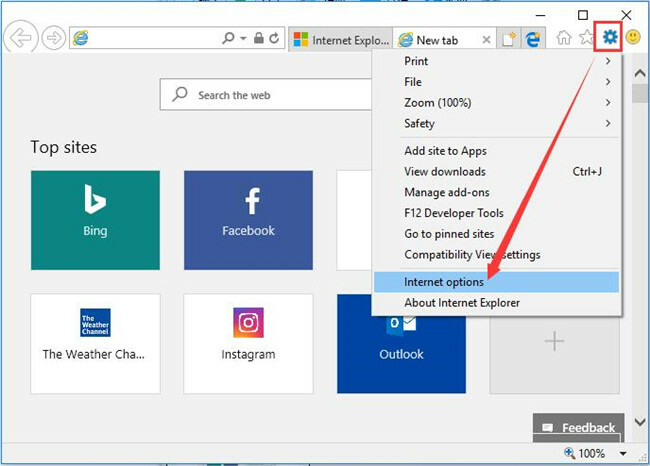 In Microsoft Edge, in the right top corner, click the Settings icon and then select Internet Options from the Edge settings. Or you can also enter Internet options from the Control Panel, which is the program management tool for Windows 10. 3. 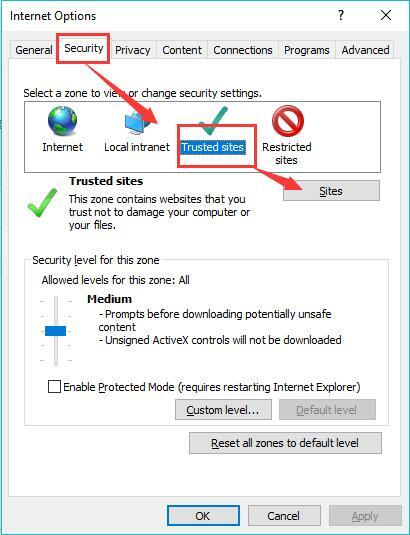 In Internet options, under the Security tab, click Trusted sites and then hit Sites. 4. Then in Trusted sites window, enter the website to add. 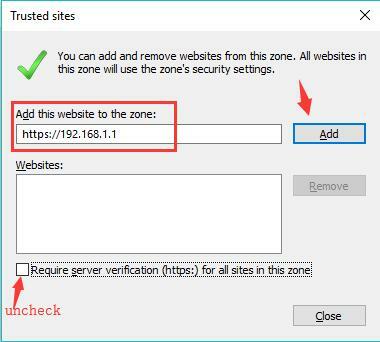 If you wish to remove the https:// addresses, choose to uncheck the box of Require server qualification (https:) for all sites in this zone. It is believed that your Microsoft Edge will be able to access the local network addresses as you wish on Windows 10 even after Windows 10 update 1809. In summary, much as you expect from Windows 10 feature update 1809, problems with this Windows 10 latest update are unavoidable. Whether you are meeting with installation failed or network problems or application not connecting error or any other issues, refer to the solutions in this post as long as there are. 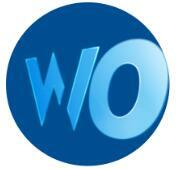 Even if you have not found the solutions towards your updating error, just contact us or Microsoft site if you want. Prev Post How to Make Google My Homepage on Windows 10?